This is one of those hard-to-find beers that is also not so well known. I'd never heard of it prior to purchasing. I must say I thought it tasted pretty bad. The bottle was a bit dusty, maybe its old and just didn't age well? 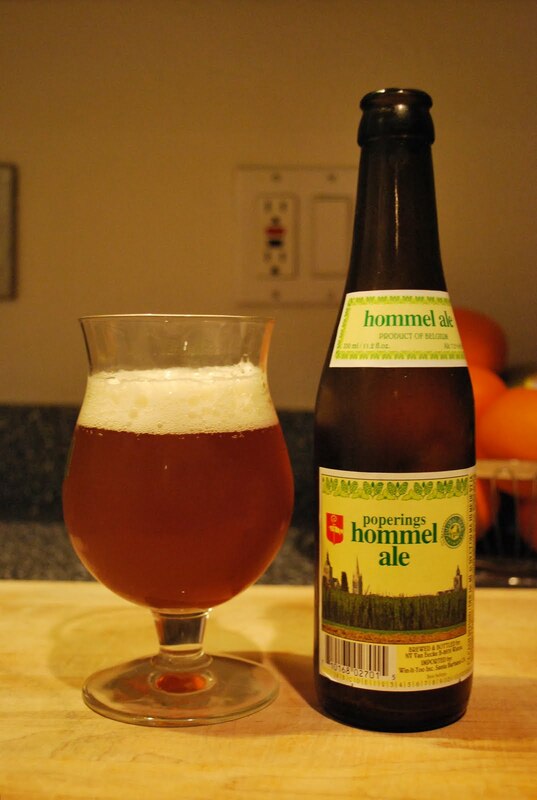 The word hommel is Belgian for hops, so this is supposed to be extra hopped, perhaps a Belgian IPA if you like. It has an attractive dark golden color and produces a nice two finger white head. The smell is absolutely basic: malts. Thats it. Maybe some spice if you search REALLY hard. It has a well rounded mouthfeel, well balanced. But who gives two shits if it tastes awful? It has a deep seated bitterness from the hops but I noticed no hop aroma or flavor. It basically tasted like stale malts, so maybe I did purchase an expired beer. I hope so for the sake of the brewery, cuz if it tastes like this fresh, ewwww.